If you have leather sofas, such made of silk, wool or other materials which needs to be cleaned, rely on our staff to do this. We use compatible for the upholstery of your sofas detergents which don’t shrink or cause discolouration. 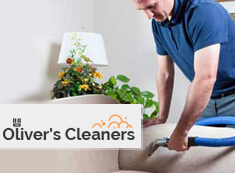 Our sofa cleaning services are very effective and provided at reasonable prices. We can send our staff to your address whenever you need deep cleaning or refreshing of your sofas. We work during the whole week and are ready to provide the sofa cleaning which you need in Hampstead NW3 or in the nearby areas. Our cleaning technicians will make your sofas sanitised in depth and refreshed. They will apply the most suitable cleaning procedures on every sofa. Leather sofas and such, made of more delicate materials will be dry cleaned. Our cleaning technicians use dry powder and specialised machines. They spread the powder and hoover it together with the dirt using dry cleaning machines. Most sofas are appropriate to be steam cleaned. Our employees use advanced machines and cleaning solutions which disinfect the sofa. They leave the sofas impeccable and almost dry. 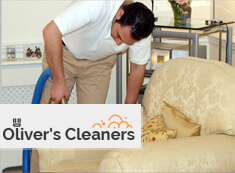 Our sofa cleaning services are very professional and have long-lasting effect. Use them whenever you need in depth sanitising of your upholstered items. The sofa cleaning which we offer is available in Hampstead NW3 and the nearby areas. The detergents which our staff use are chosen carefully for every sofa, depending on it type and condition. They remove dust, stains and dirt, reviving the colours of the sofa. We provide professional upholstery cleaning in NW3 Hampstead at low prices. Get in touch with us to order it.